Estancia, Panay island, Philippines. 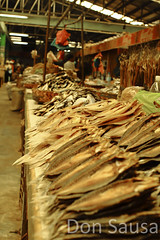 A public fish market that specializes in dried fish. If DSLR cameras could only record how badly it smelled.